The 1615E Telescoping Assistant's Arm offers superior construction and features a breakaway assembly to prevent accidental damage. For the doctor looking to add a simple vacuum package to the operatory, the 1615E is the perfect fit. The 1402 Dental Delivery Unit is the perfect fit for any operator looking for a simple, reliable 2HP unit for hygiene or general dentistry use. 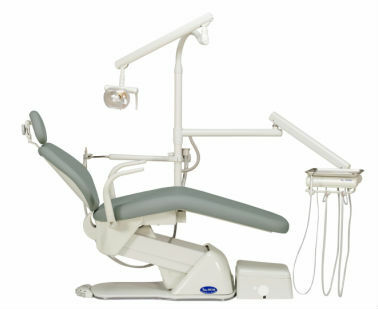 With a functional design and easy-to-use interface, the 1402 delivery unit brings dependability to any practice.